Jonathan Patz, M.D., MPH, (@jonathanpatz) is director of the Global Health Institute at the University of Wisconsin-Madison. He is a professor and the John P. Holton Chair in Health and the Environment with appointments in the Nelson Institute for Environmental Studies and the Department of Population Health Sciences. For 15 years, Patz served as a lead author for the United Nations Intergovernmental Panel on Climate Change (or IPCC)—the organization that shared the 2007 Nobel Peace Prize with Al Gore. He also co-­chaired the health expert panel of the U.S. National Assessment on Climate Change, a report mandated by the U.S. Congress. Patz is committed to connecting colleagues from across campus and communities around the world to improve health for all and is continually striving to integrate his research into teaching for students and communication to policy makers and the general public. He has been invited to brief both houses of Congress and has served on several scientific committees of the National Academy of Sciences. 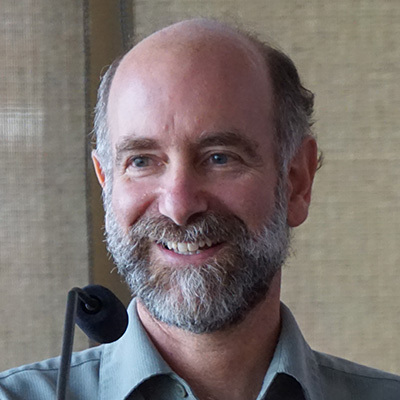 Patz served as Founding President of the International Association for Ecology and Health. In addition to directing the university-­wide Global Health Institute, Patz has faculty appointments in the Nelson Institute, Center for Sustainability & the Global Environment (SAGE) and the Department of Population Health Sciences. He also directs the NSF sponsored Certificate on Humans and the Global Environment (CHANGE). Patz is double board-­certified, earning medical boards in both Occupational/Environmental Medicine and Family Medicine and received his medical degree from Case Western Reserve University (1987) and his Master of Public Health degree (1992) from Johns Hopkins University. Patz presents at Drexel University’s Dornsife School of Public Health.